RIDGID 48 in. x 24 in. Universal Storage Chest, 48R-OS - DENT on Back Panel, otherwise in nice condition. Includes Removable tool tray. Perfect for job sites, truck beds, garages and industrial applications. Permanently retained lock with recessed shackle saves time, prevents lost locks and access by saws, pry bars and bolt cutters (locks not included). Rapid pass cord access provides easy power cord access for battery charging while tools are safely locked inside the chest. Husky Extra Deep 46 in. 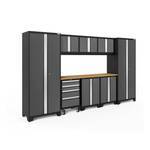 9-Drawer Mobile Workbench H46MWC9XD. Slightly dented back panel, Some small scratches and broken key in lock. Could not extract the piece but it will lock/unlock with small screwdriver. Does have extra key if you can get the piece out. Box is in nice condition, never been used. 46 in. x 24 in. 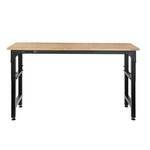 solid wood top provides a large work surface. Integrated power strip features 4 outlets and 2 USB ports. WHOLESALE/SALVAGE PALLET OF RETURNS - 7 HUSKY AND 1 DEWALT AIR COMPRESSORS. These are retail returns from big box home improvement stores. These items could be missing parts, need minor/major repair, or just scratched and dented. These units are sold as-is and are intended for those who are familiar with small engine/power tool repair. Please inspect before bidding. PALLET CONSISTS OF: 4 Large Husky Vertical Compressors, 3 Small Husky Hotdog (Horizontal) Compressors and 1 Small Dewalt Compressor. WHOLESALE/SALVAGE PALLET OF RETURNS - 10 HUSKY AND 1 DEWALT AIR COMPRESSORS. These are retail returns from big box home improvement stores. These items could be missing parts, need minor/major repair, or just scratched and dented. These units are sold as-is and are intended for those who are familiar with small engine/power tool repair. Please inspect before bidding. PALLET CONSISTS OF: 8 Large Husky Vertical Compressors, 2 Small Husky Hotdog (Horizontal) Compressors and 1 Small Dewalt Double Hotdog Compressor. Milwaukee M12 FUEL 12-Volt Cordless Brushless 1/2 in. Hammer Drill Kit, 2404-21P. In like new condition. 18-posiiton clutch, Powerstate brushless motor: delivers up to 350 in. / lbs. of peak torque with maximum sustained torque to complete a variety of applications. LED light illuminates workspace. RIDGID 120-Volt 7 in. Table Top Wet Tile Saw, R4021. In nice condition. Upgraded features include an anti-splash system that keeps your work area completely dry. The rip cut capacity has also been upgraded to 24 in. because of the detachable table support. Tilting bevel table - adjusts for precise 22.5° and 45° bevel cuts. Die-cast aluminum miter guide - heavy duty guide slides smoothly in tracks along rail for diagonal cuts from 0° to 45° left and right. Blue Hawk 20-in tile cutter, 55310. In nice condition. Worx 20v Axis Multi-purpose Saw, Wx550.1. In nice condition. Never used. Chicago Electric Power Tools Oscillating Multifunction Power Tool. In nice condition. Up to 30 different attachments can fit this tool - Sold separately. Perfect for remodeling or repair jobs, hobby work, tile and floor covering jobs, car repairs & much more! RIDGID 18 Volt 18Lithium Ion Battery & Charger, R86092. In nice condition. Kobalt Charger for 40-volt Lithium Ion Cordless Power Tools, KRC 60-06. Charger is in nice condition, does not include battery, charger only. DEWALT Cross Line Green Laser Level DW088CG. DEWALT Cross Line Green Laser Level DW088CG. New in Box. Opened for Photo. Ideal tool for Ceiling bracket installation, tile work, drop ceilings, cabinet installs, re-modeling and more! 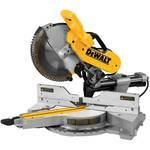 Dewalt 5-in-1 Multi-Tacker and Brad Nailer, DWHT75021. In nice condition. Multi-Tacker loads a variety of staples and brads from heavy duty, narrow, cable, 18-Gauge brads and 18-Gauge headless brads. Due to the variety of staples and brads that the Electric Multi-Tacker is compatible with, there are numerous applications for this tool such as installing carpet, installing sheets of insulation and attaching lightweight trim using the brads. 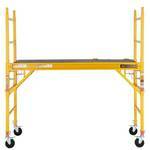 MetalTech Job Site Series 5 ft. x 4 ft. x 2-1/2 ft. Scaffold 900 lbs. Load Capacity, I-IMIS - Missing Parts. MetalTech Job Site Series 5 ft. x 4 ft. x 2-1/2 ft. Scaffold 900 lbs. Load Capacity, I-IMIS. Missing Top Safety Bar, 1 Caster and 2 Decks. Includes folding tool shelf. Can easily fit between standard door openings, reducing setup time when transporting from room to room. Dewalt 15 Amp 12 in. 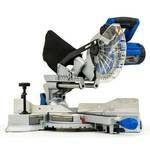 Sliding Compound Miter Saw, DWS779. In nice condition. ideal for most cutting applications including crown molding up to 7-1/2 in. This miter saw is designed with a powerful 15 Amp, 3800 RPM motor that delivers extended power and durability. The exclusive back fence design cuts up to 2 x 14 dimensional lumbers at 90 degrees and 2x10 at 45 degrees. Miters 60 degree to the right and 50 degree to the left. 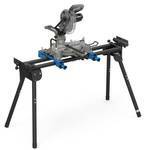 Shopmaster 10-in 15-Amp Single Bevel Sliding Laser Compound Miter Saw with Stand, S26-261LS. In nice condition. Bevels left from 0- 47, cuts nominal 2 x 6 at full bevel. Laser battery operated with on/off switch makes aligning blade to work piece more convenient and precise. Mitering capabilities miters to 45 left and right with stops at 0, 15, 22.5, 30 and 45. Capacity cuts nominal 4 x 4 and 2 x 6 at 90 and 2 x 6 with 1 pass. Dewalt 100 ft. 3-Spot Laser Level, DW08301 - Slightly Used. In nice condition. Projects 3 bright laser beams: up, down and horizontal. Accuracy of 1/8 in. in 100 ft. Operates on 2 AA batteries. Arrow Fastener Pneumatic Staple Gun, T50 Staples up to 9/16 in., PT50. Arrow Fastener Pneumatic Staple Gun, T50 Staples up to 9/16 in., PT50. In nice condition. Gun operates on home compressors up to 120 psi. Perfect for DIY and professional projects including upholstery, general repair, screening, trim/molding, roofing, insulation and house wrap. Arrow Fastener 1-Handed Swivel Riveter Kit, RT187SHK. In nice condition. Comes with 4 drill bits - 3/32 in., 1/8 in., 5/32 in. and 3/16 in. 4-quick change rivet heads. Includes 25-medium aluminum rivets in 3/32 in., 1/8 in., 5/32 in. and 3/16 in. The swivel head tool rotates to accommodate tight corners and tough angles. Husky 2-Ton Hydraulic Trolley Jack, MPL4136-BLK, in nice condition. It will lift up to 2 tons (4,000 lbs.) with minimum height of 5 in. to a maximum height of 13 in. The removable handle and the carrying handle makes it easy for storage. This jack is ideal for quick tire change. Husky 2-1/2-Ton 5,000 lb. Low Profile Jack, HD7024A, in nice condition. Ideal lifting most cars. Quick lift feature for faster engagement. 360° swivel saddle for solid load contact. Removable handle. Shop-Vac 6-Gallon 3.5-Peak-HP Shop Vacuum, 5922611. This 6 Gallon Shop-Vac Brand can be used anywhere you need a wet dry vacuum. 6 ft. power cord. Rear blower port. Shop-Vac 4-Gallon 5.5-Peak-HP Shop Vacuum 5910411. In nice condition, powerful SVX2 motor for better performance and longer life. Rear blower port converts your vacuum to powerful blower. On board cord and accessory storage. 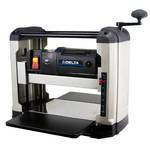 Kobalt Compact 7-1/4-in 10-Amp Single Bevel Sliding Laser Compound Miter Saw SM1815LW. In nice condition. Maximum crosscut up to 2-in x 8-in (dimensional)at 90 degrees and 2-in x 6-in at 45, idea for molding and framing cuts. Powerful 10.0 Amp ball bearing motor, delivers up to 5,000 RPM for accurate cuts. Bevel cutting up to 47 degrees to the left, positive stops at 0 and 45 degrees. Porter-Cable 18-in 1.6-Amp Variable Speed Scroll Saw, PCB375SS. In nice condition. The variable-speed controls can be set from 500-1,500-SPM. Large die-cast aluminum dual-tilt tabletop allows up to 45° bevel cuts to the left and 15 to the right. Oversized, upfront controls; on/off switch, work light, and speed controller. Delta 15 Amp 13 in. Portable Thickness Planer, 22-555, In nice condition. Reversible dust port. Adjustable in feed and out feed tables to better support long pieces and reduce snipe. 4 column designs provides excellent stability for smooth, accurate planning. 2 polyurethane feed rollers for a no-slip grip on the workpiece; positioned close to the cutterhead to improve workpiece finish. Quick change knife system.